Reminder: Game Changers and #CTRLDEV on this weekend! Published on February 21, 2014 in Events. 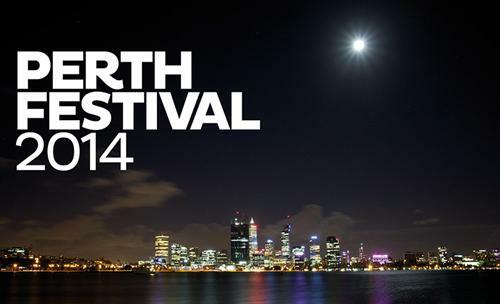 0 Comments Tags: ctrldev, events, perth, Perth International Arts Festival, PIAF, Screen Australia, The Game Changers. At last the weekend is upon us, where we may fill our days with games and good times. If you have yet to plan your days of rest then fear not, here we have one final reminder of the top notch events on this weekend. There’s still time to grab tickets and so you could be spending your time with a bunch of big-name developers! This Saturday The Game Changers series will be running as part of the Perth Festival, and will four panels on narrative and storytelling in video games. International guests for this event include Steve Gaynor (Gone Home, BioShock Infinite), Clint Hocking (Splinter Cell, Splinter Cell: Chaos Theory, Far Cry 2), Dan Pinchbeck (Amnesia: A Machine for Pigs and Everybody’s Gone to the Rapture) and Jill Murray (Assassin’s Creed III: Liberation and IV: Black Flag), as well as the excellent Australian guests Guy Gadney (The Suspect), Dan Golding (Game On) and Bajo & Hex from ABC’s Good Game television show. To get your tickets head on over to The Game Changers event page. This Sunday we also have #CTRLDEV, an opportunity for Perth developers to get some quality time with our big-name visitors. Steve Gaynor, Clint Hocking, Dan Pinchbeck, Jill Murray, and Guy Gadney will be hosting two panel discussions that focus on the technical and career aspects of working in the games industry. This event is designed to give you some quality time to talk shop, as well as complement the narrative and storytelling discussions of Saturday’s The Game Changers series. You can also check out the Meet the #CTRLDEV page for all the details on the guest speakers (so you can prep your key game dev questions). $40/$30 (discount for those attending The Game Changers events). To get your tickets head on over to Eventbrite page. Not a bad way to spend the weekend, if we do say so ourselves.